January was a month of firsts for me, not only did I start my blog, but we started looking to buy our own place, I tried, and really enjoyed red wine, had the girls round for dinner and my friend's gorgeous baby Matilda was born. So, because it's easy to forget what happens from one week to the next, let alone each month, I'm making sure I don't by creating a little collage of all the things I've enjoyed this month. 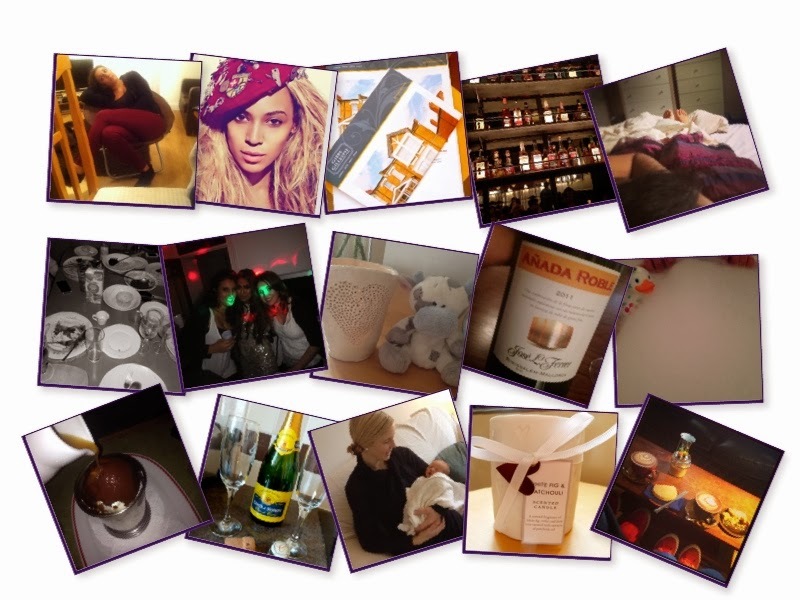 And yes, that is a picture of Beyonce - I may be a little bit obsessed - have you seen her videos?! ?